We hope this email notice finds you safe and well. Hurricanes Irma and Harvey have certainly consumed the press lately, and our thoughts and prayers continue to go out to those affected by these tragic storms. At the same time, there has been recent news of troubling events, and we thought we would take the opportunity to touch upon them in hopes of protecting our amazing employees. Last week Equifax, a leading credit reporting agency, announced a data breach that affected over 143 million consumers. Hackers breached their databases, and gained access to people’s critical private information including names, social security numbers, birthdates, addresses, and driver’s license numbers. It is highly recommended that everyone visit and read Equifax’s website regarding this huge security concern. You can even enter bits of your personal information to see if your data was possibly breached, and you can also find important information about how to gain access to your credit report and protect your identify better in the future. More information can be found at www.Equifax.com. 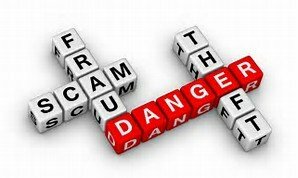 Additionally, there has been a recent uptick in different sorts of credit card scams, both over the phone and the internet. Criminals make up tempting stories to get you to provide them with your critical information, including your birth date, social security number, credit card, or bank information. Please remember… NEVER give this information out unless you are certain you know who you are speaking with, and that you completely trust them having your private information. Use extreme caution ever giving out your private information to anyone. Security and privacy are critically important, and we should all use solid judgment to safeguard our information. Lastly, in Sacramento there is an Assembly Bill in process that would allow access of Caregivers’ confidential information for the purpose of organizing workers. Democratic legislators have been persuaded by unions to push a bill that would make Caregiver’s private information, including their names, phone numbers, addresses, and email available. AB 1513 violates the most basic privacy rights of employees, and this information should be properly protected. Hired Hands is working hard to combat this Bill. You can help by contacting the following Senators with a simple phone call TODAY letting them know you are a Caregiver, and you OPPOSE AB1513, and want to protect worker’s privacy! Simple and effective! We hope this information helps protect you and yours!